Grid-outage recovery is only as fast and reliable as the communication technology supporting it. For many utilities, this is a growing infrastructure challenge especially as distributed energy resources (DER) increase on the grid. Most utilities rely on traditional copper-wire telecommunication for direct transfer trip (DTT), to disconnect the distributed energy power source connected to a feeder as a safety measure when there is a grid problem or while repairs are made. Under proper operation, when a fault is detected, a substation sends a trip signal to the DTT to disconnect the distributed energy source. But as these communication lines age, they are more prone to fail. When DTT communication goes down, a distributed energy site will switch off by default as a safety measure. This causes an outage for the distributed energy site, until the communication is restored — even if all power-related aspects of that feeder are operating properly. Aside from inconveniencing the utility and distributed energy site owners, communication-related outages can have a significant business impact for the distributed-generation providers, such as solar farms. Every minute of lost grid connection is an effective curtailment that costs money. More frequent and longer interruptions can significantly impair the economics of distributed generation. If a traditional DTT communication line needs repair, it might take hours or days, depending on the length of the line and the remoteness of the location. Rerouting signals is rarely an option with hard-wired connections. Also, replacing a traditional DTT line with new copper or fiber-optic cable tends to be prohibitively expensive — especially for smaller or rural utilities. In recent years, more utilities have been voicing concerns about communication reliability as their DTT communication lines near the end of their useful life. This caught the attention of Siemens, which offers the Siemens Distribution Feeder Automation – Direct Transfer Trip solution (SDFA-DTT). Siemens’ DTT solution leverages cellular telecommunications to detect and isolate real grid faults in less than 500 milliseconds while completely avoiding false outages due to communication failures. Now, in pilot projects, Siemens has begun working with utilities to deploy cellular DTT communications as a stand-alone service. The Central Virginia Electric Cooperative (CVEC) needed just such a solution. 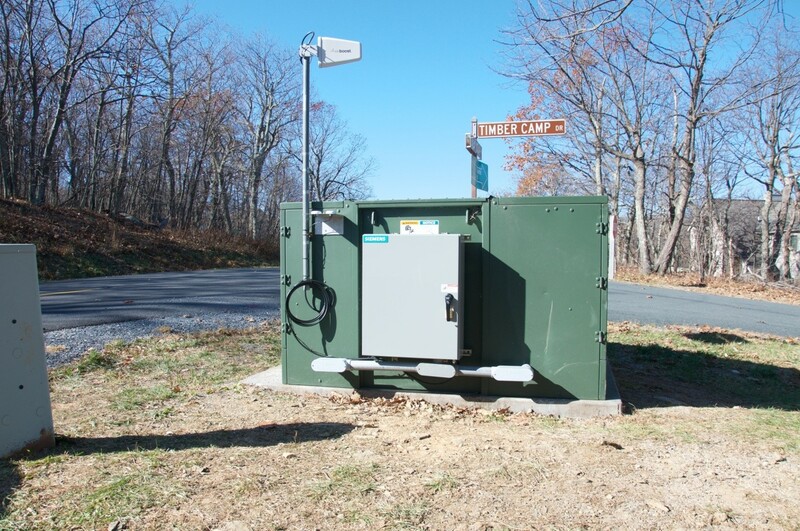 Last year, CVEC worked with Siemens to implement a cellular based Fault Location, Isolation and System Restoration (FLISR) system for three feeders at the Wintergreen Ski Resort. This project went live in January 2017. Located in the Blue Ridge Mountains, the Wintergreen resort comprises about 2,000 utility accounts: ski lifts, restaurants, private homes, condos, and more. Just over half of these accounts are served by the feeders that were upgraded to cellular communications. By 2019, the remaining four feeders serving the resort will be similarly updated. In this rocky, mountainous terrain, radio and fiber-optic communications were neither feasible nor affordable. It was only in the last few years that telecom providers installed cell service throughout the resort. With that infrastructure in place, CVEC began planning with Siemens. Andre Smit, Feeder Automation Product Development Manager for Siemens, explained that Siemens’ DTT cellular solution incorporates security measures into both the software and the hardware. Furthermore, since encrypted protection signals successfully travel over the common cell network, there was no need to install a very costly private radio or fiber optic communication infrastructure — removing a prohibitive cost. Cellular communication is designed to instantly self-reroute, which means DTT signals are far less prone to a single-point failure. Signals often can reach their destination even if there’s a problem with one tower en route. CVEC is also working with Dominion Energy to apply Siemens’ cellular DTT technology to 10 megawatts of solar generation set to be connected to CVEC’s distribution grid later in 2017. To learn if your utility can benefit from Siemens’ cellular feeder automation solutions such as Direct Transfer Trip, visit our website.